I did a forum search and found two posts that mention Berkshire hogs but no topics about them. I just happened to stumble on a guy locally who was selling cut and wrapped pasture-raised pork. The price seemed right and I liked the idea of the pasture-raised so I went to see him. He educated me about Berkshire hogs and I bought a 1/2 hog already cut and wrapped, with bacon, ham and Italian sausage, too. The first night, we tried some chops on the grill and I was sold from the first bite. What a wonderful, flavourful, juicy bite!! Since then we've enjoyed all the cuts, though I have to say the bacon is a bit too fatty for me (I don't like leaving so much flavour in the pan). I'll definitely be picking up another half after this one is gone. The recipe I posted for Slavyanka Borscht, we used the bone from a shoulder roast from this hog. I boned it out and the bone went into the Borscht, we ground more with some stew beef for croquettes and I roasted the rest in the oven. What a great dinner, though the leftovers, if anything, were even better. 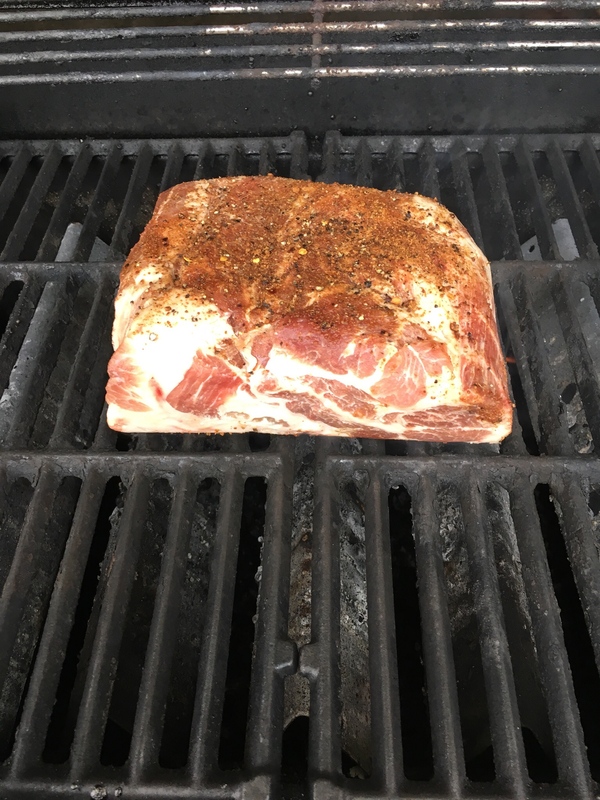 It's so nice to get pork that doesn't get dry after sitting. So I did another Berkshire shoulder roast today, this time on the bbq. Rubbed it with salt and pepper and a bbq seasoning, then onto the Weber Medium-Off-Medium for a slow roast. 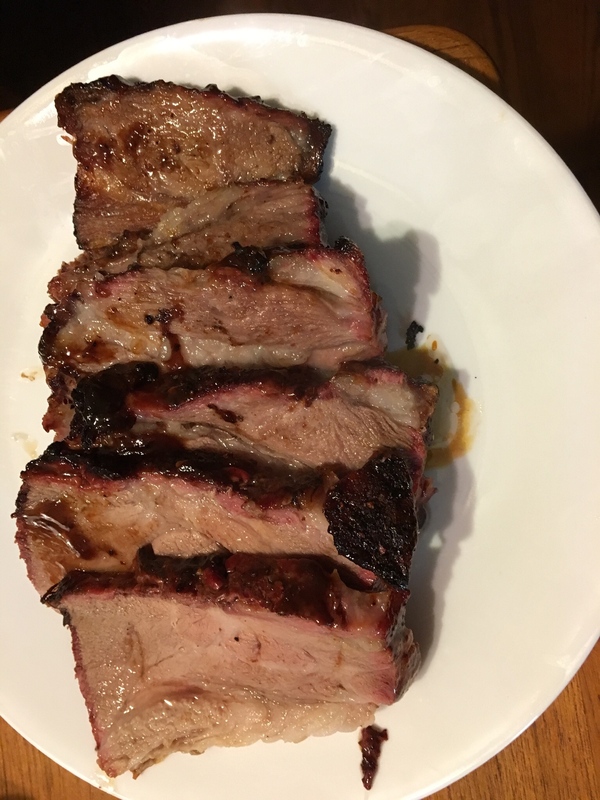 Finished it with a local Apple-Jack Bourbon bbq sauce. This is definitely not the pork for you if you’re phat-phobic (but you probably wouldn’t eat pork anyway). It lost probably 1/3 of its size, but still lots of marbling. That is truly some beautiful-looking pork, there ~ I don't think a person could ask for anything more!